We have already read about importance of astrology in First lesson of Astrology, No in this astrology lesson 2 we will see about name of months as per hindu panchang and also vedic names of months. Also if you want to know about 9 planets then here you will get knowledge. Also know about the designations of planets in this lesson i.e. who is king, who is commander, who is minister, who is servent, who is prince, who is queen in zodiac belt as per vedic astrology. While doing prediction it is also necessary to check the relation of elements with the planets here you will get this knowledge also. There are 5 elements like fire, water, air, sky and earth and all the planets are related with different types of element. As per this they impact in our life. Sun passes through 12 zodiacs in a year and on the basis of this Uttarayan and dakshinayan concept is given. There is an important topic and that is related with Uttarayan and Dakshinayak of sun, Many mahurat depends upon uttarayan and dakshinayan of sun. So here in this free lesson 2 of astrology I am including this subject too. 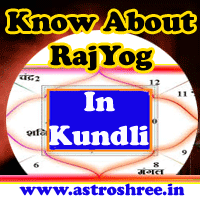 After reading this lesson 2 of astrology you will become knower of 12 months, vedic names of months, related elements of planets, uttarayan and dakshinayan concept. These topics are very interesting and is based on science so definitely you can enhance your knowledge by reading about astrology in details.